What motivated you to join the Peace Corps? After moving from one wildlife internship/job to the next I saw that there was a large gap between my efforts and the public's understanding of its importance. This was cemented when I was fortunate enough to be offered an internship in Belize working on a jaguar project which heavily involved the local community. I finally understood something which I had heard throughout my time at ESF which is just how truly connected wildlife and communities are and how important it is to manage wildlife with these communities in mind if any conservation goals are intended to be met. In my head, I figured, what better way to grasp a deeper understanding then by putting yourself in their shoes? Soon thereafter I was offered an environmental volunteer position in Ethiopia and when my time in Belize was up, I went home for three weeks, packed and boarded another plane. How do you feel your school prepared you for your Peace Corps service? While earning my degree, I was taught to approach things with an analytical frame of mind. This has proven valuable when deciding which projects to undertake and how to go about developing and implementing them in the most sustainable fashion possible. What was the transition like for you moving from SUNY-ESF to your country of service? 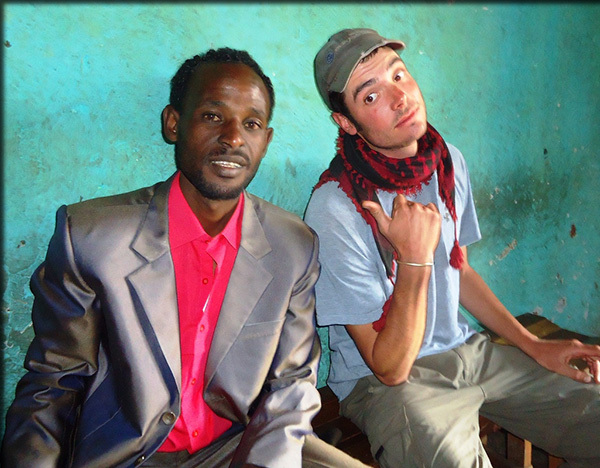 I did find the transition from western life to rural Ethiopian life difficult. When you sign up for service you are truly setting out on your own, you're stepping into a different country, a different culture, a different language and a different way of life. It's……maraatuu ("crazy" in Afan Oromo, my community's language). Not necessarily in a bad way but yes, "baayyee maraatuu" (very crazy). You're making a conscious decision to enter into the unknown, a frightening thought for anyone. It is important to remember, though, that you are also blazing a trail, you're setting off for new sunrises and unexpected destinations. This, in my opinion, makes life exciting and for me I would rather regret something I did than regret something that I didn't. Peace Corps was one of the best decisions that I have made in my life and I wouldn't change a thing. How do you feel you are making a difference for your Peace Corps host community? There is one thing that I am sure of and it's how Peace Corps volunteers have an extremely influential role in promoting cultural understanding through conversation and experience sharing. We live and interact with our fellow community members on a daily basis and through this we are able to dispel myths, break barriers that may have skewed one culture's perception of the other, and we promote understanding. This is, in my opinion, the Peace Corps' biggest success, creating understanding between cultures which, again in my opinion, promotes the "Peace" in Peace Corps.